The Complete Aliens vs. 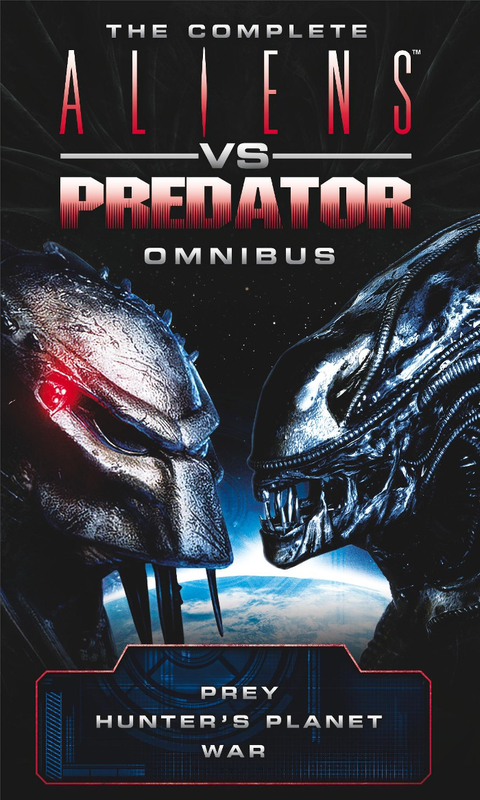 Predator Omnibus has been announced by Titan Books. With the second of their Complete Aliens Omnibuses released last week, Titan have revealed that they will also be published an Aliens vs. Predator omnibus. The Complete Aliens vs. Predator Omnibus has been announced by Titan Books! The Complete Aliens vs. Predator Omnibus collects all three of the Aliens vs. Predator novels published prior to the start of The Rage War trilogy. Both Hunter’s Planet and War present alternate sequels to Prey. However, Hunter’s Planet is an original sequel and War is based on the sequel comic of the same name. The Complete Aliens vs. Predator Omnibus is due for release 29 November 2016. Thanks to Ultramorph for the news. They literally reused the image of the alien from the Alien Invasion cover. This year is very much Alien focused because of the anniversary. Next year is Predator's anniversary so I wouldn't be surprised to see some focus shift over to them. Just heard back from Titan that there are no Predator omnibus' planned. Prey is an adaptation of the original AVP comic, War is an adaptation of the comic of the same name. War and Prey are the novelizations of the first AvP comics, right?